"While wine is often the go-to libation of choice for diners enjoying an authentic Italian meal, Cucina Asellina has joined forces with Georgia’s own Wild Heaven Craft Beer to host an unforgettable four-course tasting dinner on Wednesday, October 10, 2012 at 7:30 p.m. For just $45, diners have the opportunity to meet Wild Heaven’s founder Nick Purdy and consulting brewmaster Eric Johnson and learn about their world-class, award-winning beers. 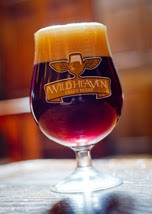 Cucina Asellina’s chef de cuisine Josh Carden has created a specialty pairing menu to perfectly complement Wild Heaven’s four featured beers: Let There Be Light, Invocation, Eschaton, and Ode to Mercy. Space is limited. To reserve a seat, please call Cucina Asellina at 404-793-0141." 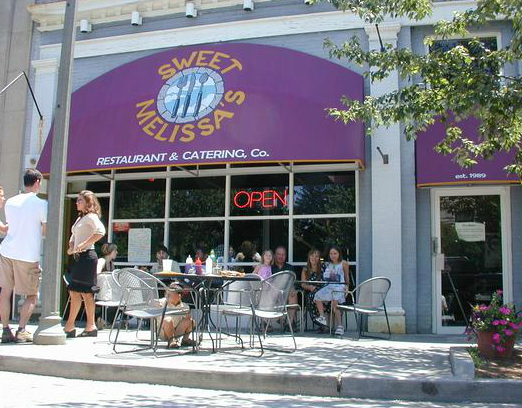 First: Breakfast at Sweet Melissa's. Start out in Decatur at this charming cafe. Get the Florentine Omelet and a cuppa joe. Pick up a copy of Creative Loafing, and check out the latest on the TSPLOST, or restaurant reviews. ($ - $10 per person). Breakfast at Sweet Melissa's in Decatur. "Help others by giving blood at DeKalb Medical's blood drives. Although you are not required to pre-register, you can register by going to www.givelife.org and entering DeKalb Medical's sponsor code: demece. To register by telephone or for more information, call 404.501.WELL"
The blood drive starts at noon. Third: Nap time. Siestas are so healthy for you! Today's full day plan can take up to about 30 miles of driving, if your home base is midtown Atlanta. In fact, it's a rare one where you could probably get around with taxi alone for not much dough! The 30 miles equates to about 22 pounds of carbon dioxide, or the carbon sequestered by about 4 sq feet of forest. Calculations are based on the U.S. EPA's green house gas equivalencies calculator.